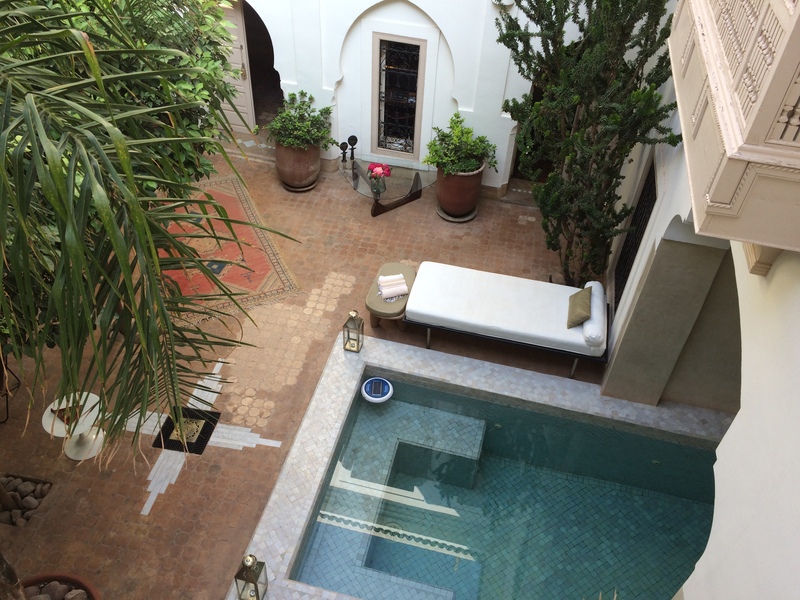 I must open this post by saying that if ever you are fortunate enough to get the chance to travel to Marrakesh – DO IT! We had planned our trip celebration for both Rocket and Mata Hari’s birthday’s although we kept the plan from Rocket for about a million years in order to heighten suspense. This decision caused me, in particular, to almost give the game away but we made it to his actual birthday without letting on so…. Marmoset had the idea that we could arrange ourselves into a human anagram (Rocket loves a puzzle) holding up the various letters to see whether he could guess his gift – so in the middle of Kew gardens on a sultry summers night with Jools Holland and his rhythm and blues orchestra serenading us in the background, we attempted to bamboozle him. Sadly we arranged ourselves into almost the correct running order meaning he didn’t have to apply too much brain power. 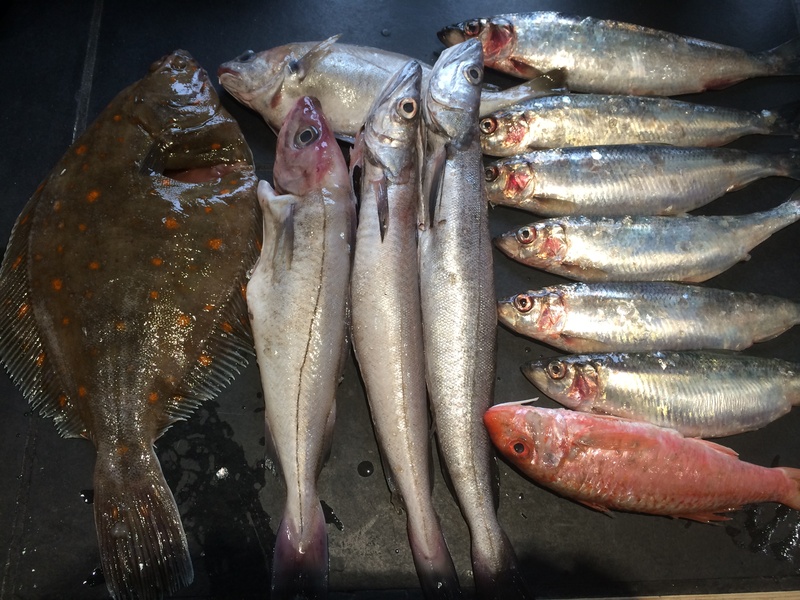 However, he was very pleased anyway – which was a relief because we had booked and paid for it ages earlier…. Marrakech is somewhere we have wanted to see and travelling as a group we were able to rent all the rooms in a beautiful Riad in the old medina – it was called Riad Al Massarah and as well as being well located, it was a beautiful oasis in which the owners and staff looked after us extremely well. I can highly recommend it – here is the link. 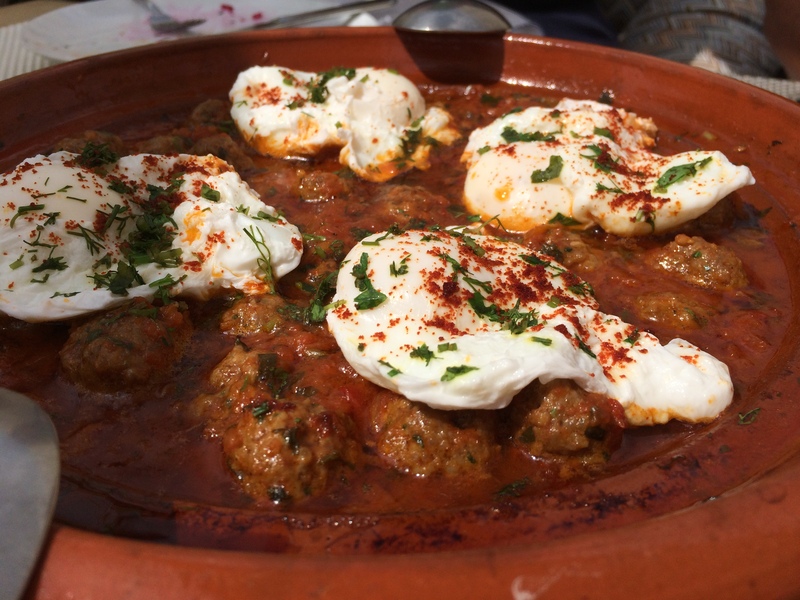 The staff fed us really well, and on the first day they offered us a particular favourite of mine which is a meatball tagine topped with eggs. 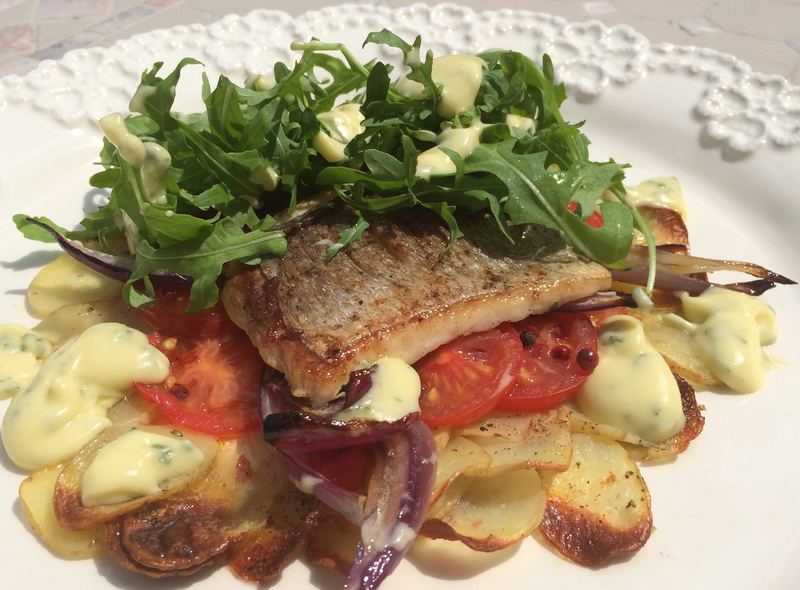 I shall put this recipe up in a future post! Our loose plan was to see Jema El-Fnaa, the huge main square, the Medina and it’s locale and to take a trip to the Atlas mountains which was a particular request of the birthday girl, Mata Hari. On the first night we set out for the big square, getting significantly lost in the rabbit warren medina on the way (a right of passage for visitors apparently). When e eventually arrived, we witnessed the frenetic activity, smells and excitement of Morocco. 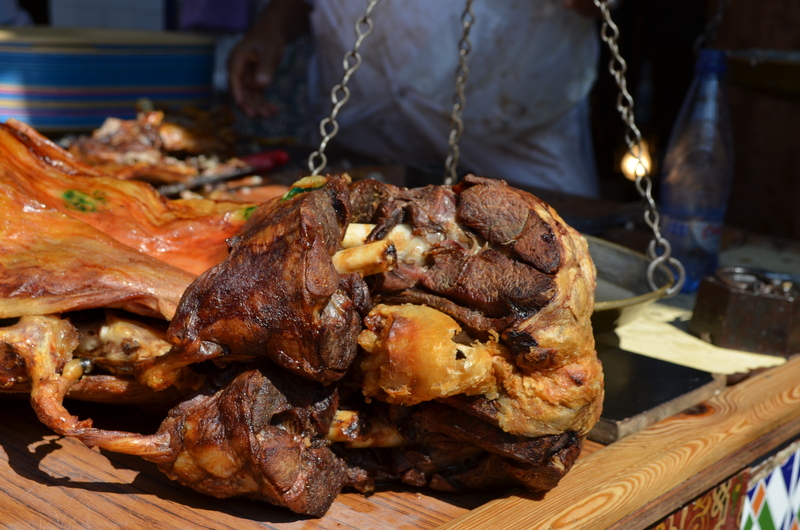 The square teamed with people and stalls selling all kinds of food. The Medina was a fascinating, and assaulted us with a heady mixture. 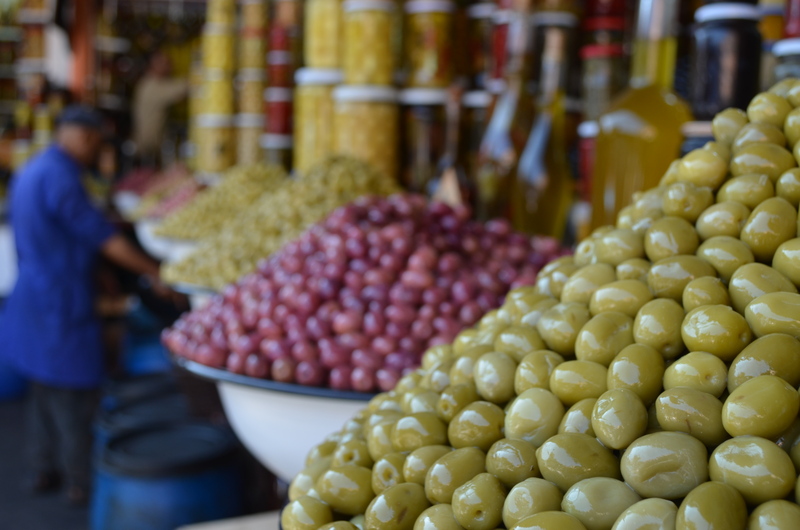 The piles of fresh mint, preserved lemons, olives and the leather goods, lanterns and so on. Great fun, you could have lost yourself in there for days – quite literally. 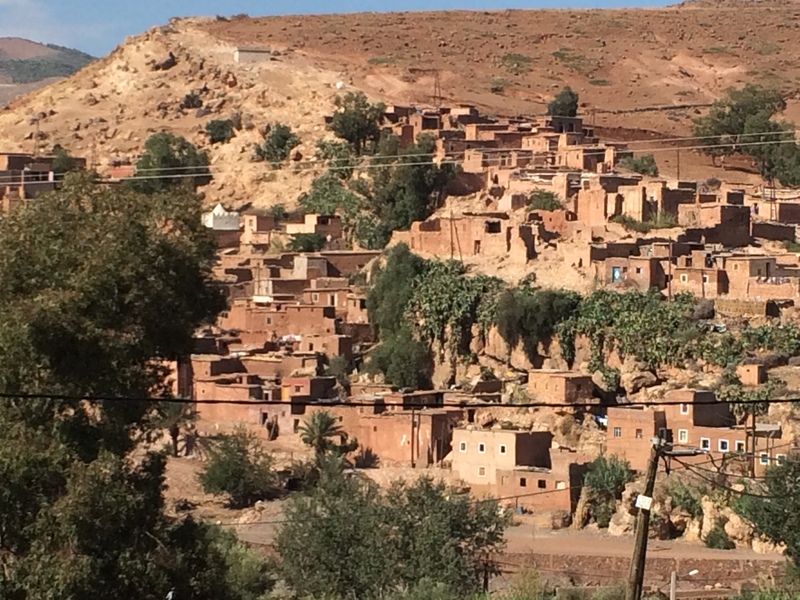 Our trip to the Atlas mountains gave us a great day and a break from finding our way (or losing it) in the Medina. 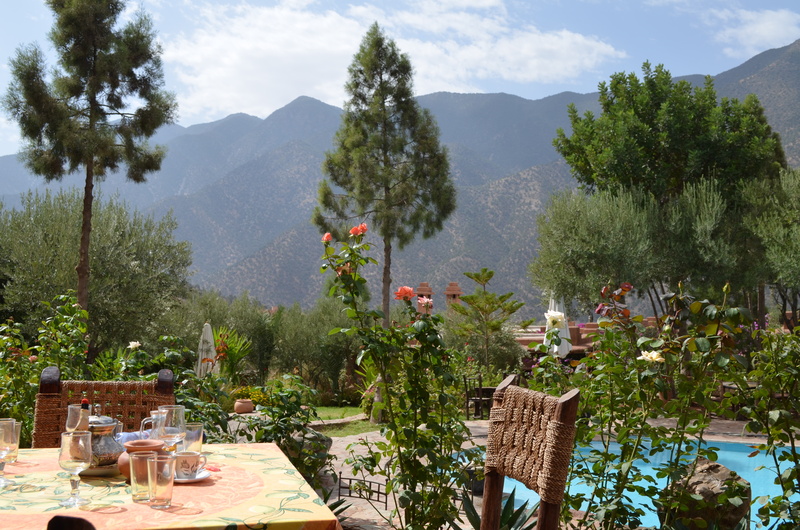 We also made a coffee stop at Kasbah Tamadot, part of Richard Branson’s empire, it was simply stunning and I harbor dreams of returning to linger there a few days one day. There is so much more to say, the old palace and the tombs, the new city…one thing we all agreed is that we could easily have stayed for a few days more, something we were advised against by colleagues and friends who have been before. ‘They’ told us 4 days would be enough….’they’ were wrong and we could have lost ourselves in those streets a few more times before tiring of it. For our final meal we chose drinks at the sky bar (we love a roof to bar) and supper at Al Fassia – which is a female cooperative and well known, so we had to book ahead. We found that many of the menu’s we came across had similar things, the Morroccan salads, the various tagines and grills, Pastilla’s and so on, but there was a huge difference in flavor and delivery and I have to say Al Fassia was a favourite of mine –and most of us I think. Here is the link. 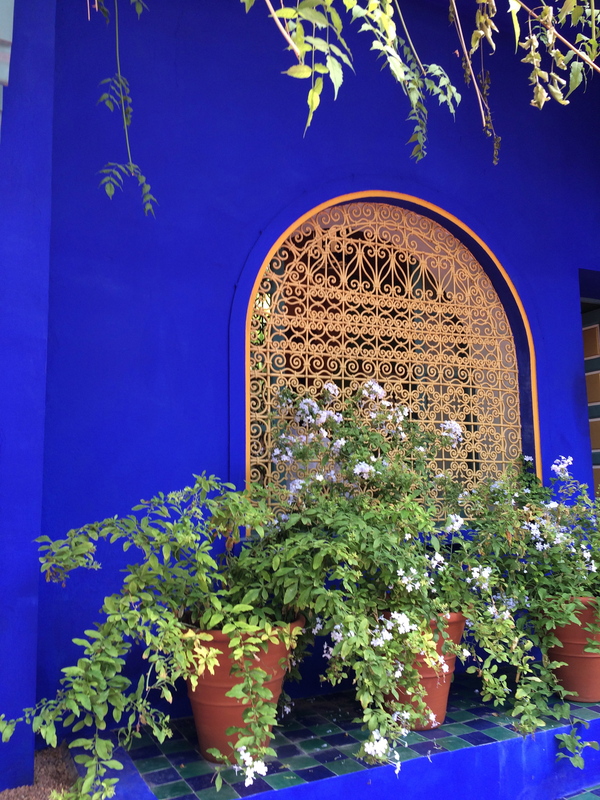 What I will take away from Marrakech is the stunning contrast between the frenetic and colourful Medina and the cool peace of the Riad’s that hide behind the walls waiting to charm, restore and replenish after that assault on your senses from the old city. 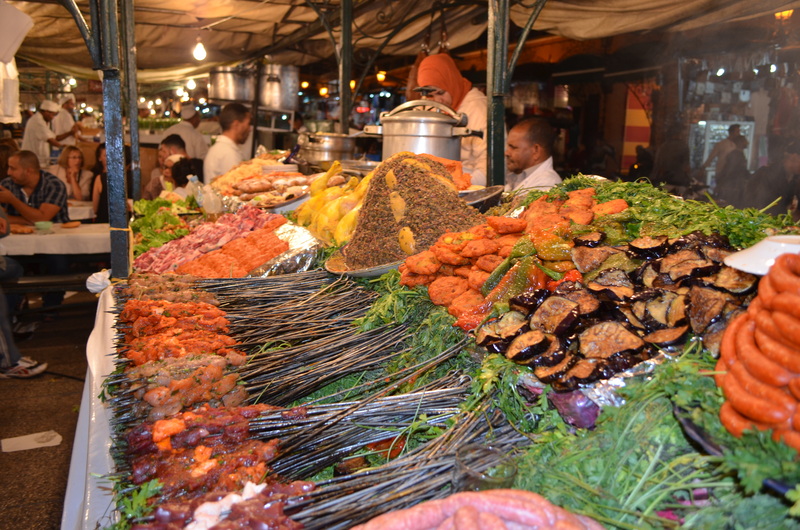 The fragrance of spice as you pass the stalls, looking up to find the hidden watering holes and the hysteria of being so lost in the maize – but being lost among friends is always good fun. Thanks to Crosby, Stills and Nash….enjoy!